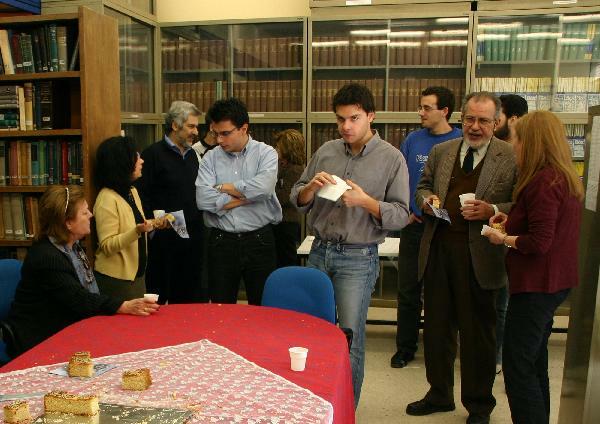 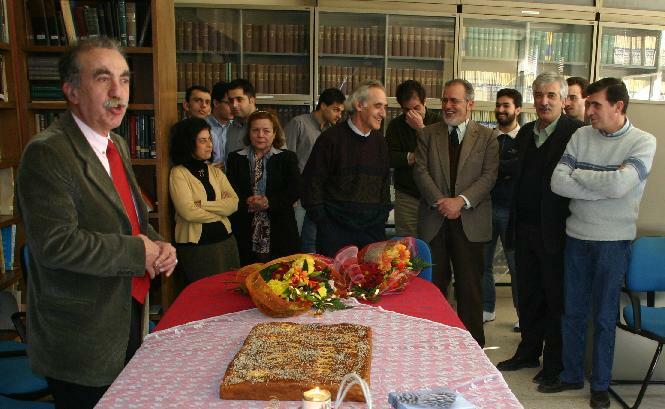 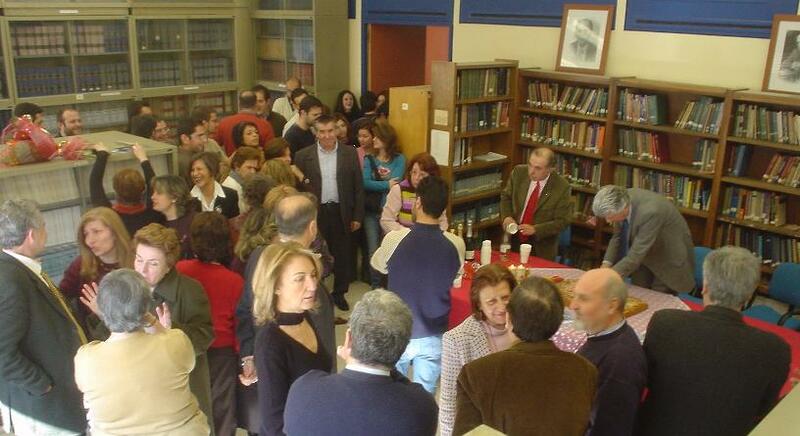 On 3 February 2006, Division I of the Department of Chemistry comprising the Laboratories of Physical and Analytical Chemistry assembled in the Physical Chemistry library to celebrate the New Year. 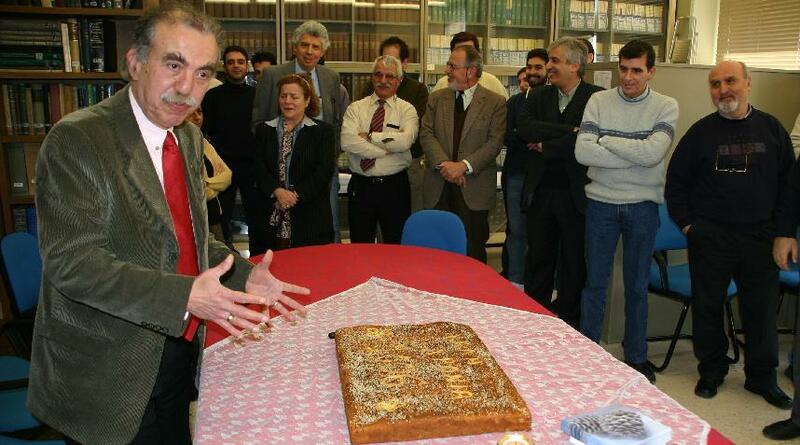 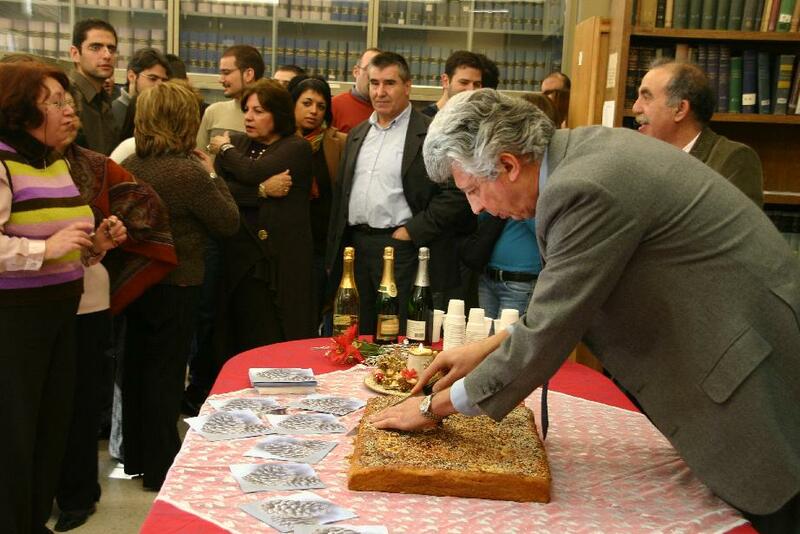 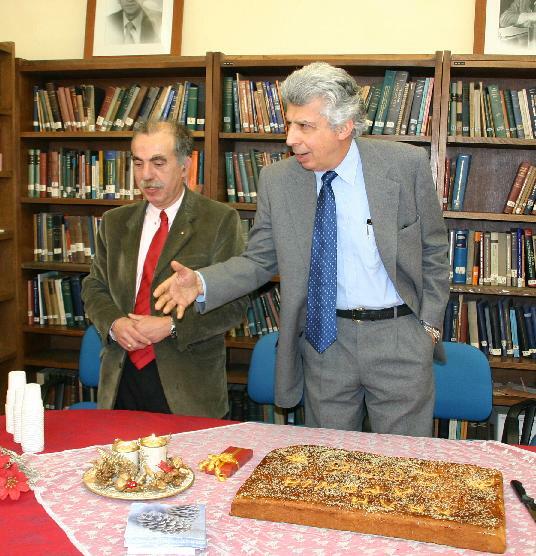 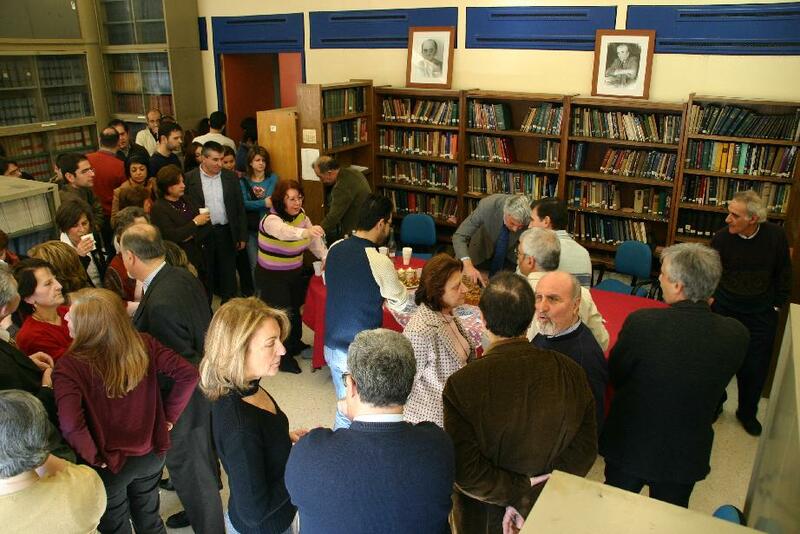 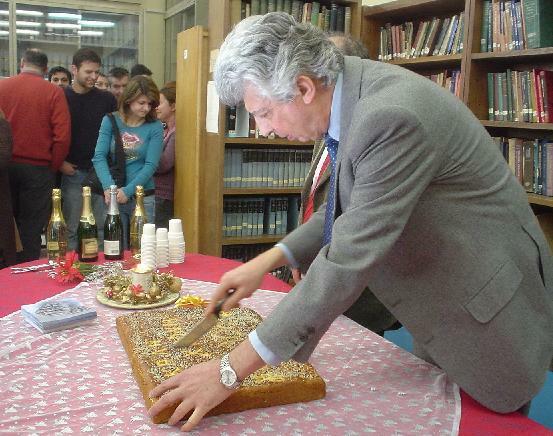 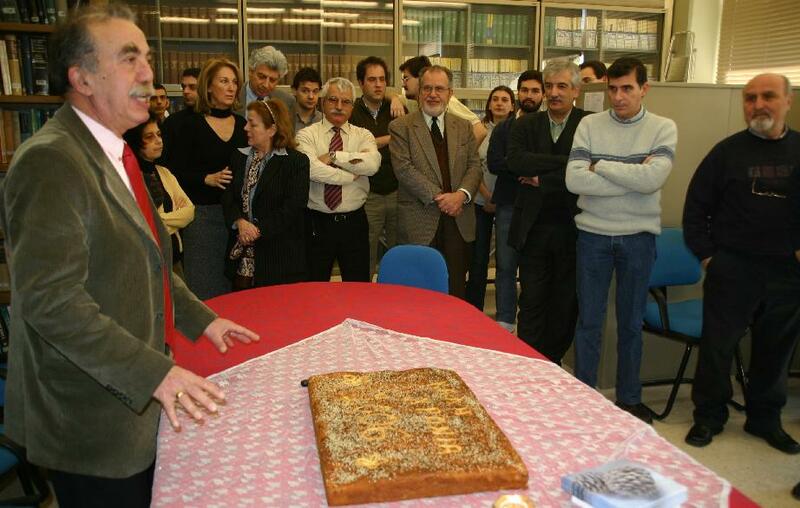 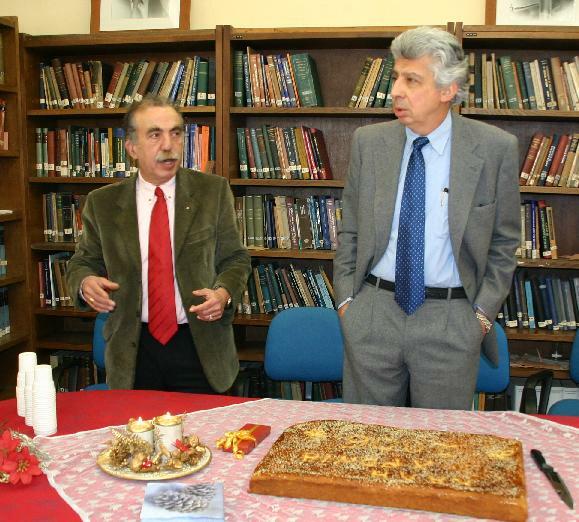 The director of the Division Prof. Calokerinos asked his predecessor Prof. Mavridis to do the honors of cutting the pitta with the hidden coin. 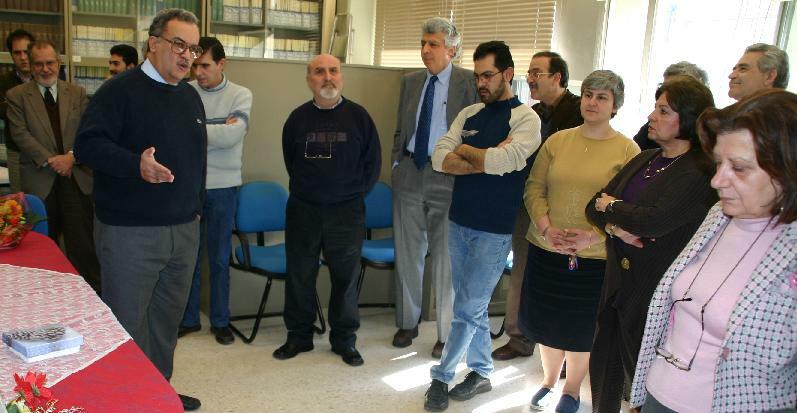 On the occassion, Prof. Siskos and preparationist Ms. Athanasopoulou, retiring members of the Analytical Chemistry Laboratory, were honored. 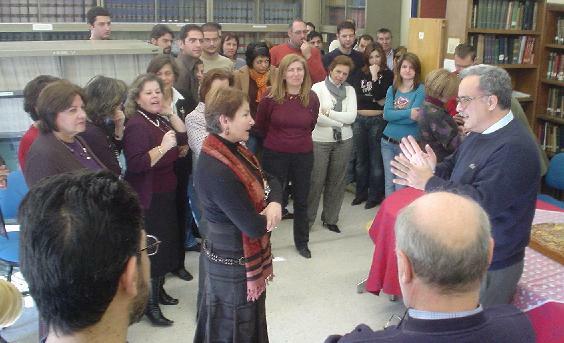 Note: These pictures were adapted from http://playschool.noc.uoa.gr/~sbolis/lab-pita-06/ where they are deposited curtesy of Mr. Spyros Bolis. 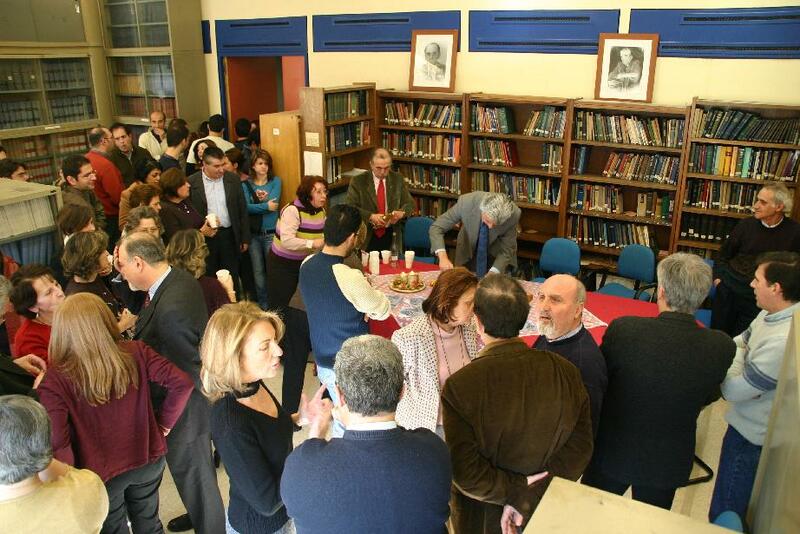 They were originally taken by Mr. Bolis and an (unknown) exchange visitor from the Czech Republic.